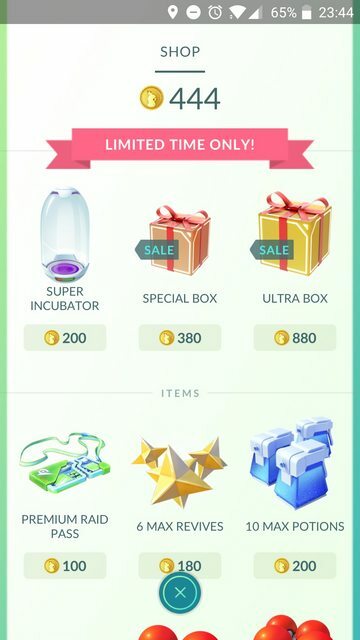 although not announced before hand, a new box sale has been launched in the game’s store, featuring Super Incubators, Special and Ultra Boxes! We’re not completely surprised by the sale, but we’re surprised by the contents of the boxes. The sheer amount of Lucky Eggs and Lures is great, a few Raid Passes are in the mix and the Great/Ultra Balls seem like a cherry on top. Niantic is really pushing this event to be something like a worldwide GO Fest and we’re not objecting, but a heads up would be appreciated. We recommend going for the Special box if you’re aiming to pick up some XP doubling goodness and Lures. Otherwise, man up and go for the Ultra Box. Fun fact, Ultra Box was 1480 when the sale initially launched, but was quickly adjusted to 880 PokéCoins, bringing it back in the realm of purchasable reality. The post A surprising Pokémon GO Travel box sale launched: Super Incubators, Special and Ultra Boxes appeared first on Pokemon GO Hub.